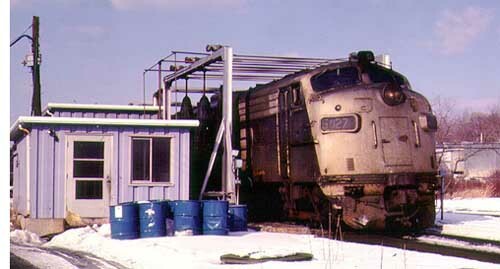 The FL9 was built as a dual-mode locomotive: It could operate as a conventional diesel-electric in the open, or--to minimize pollution--as an electric from the third-rail in the congested confines in and around New York City. It was also dual-service; hauling passenger trains by day and freight by night. 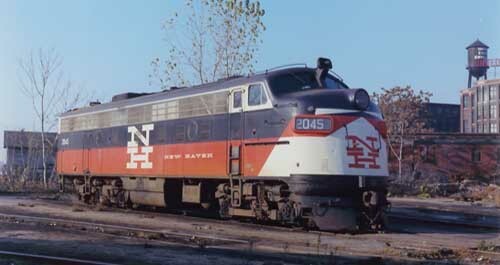 The incentive that forged their design was the New Haven railroad's desire--arguably a misguided one--to operate passenger trains between New York City and the railroad's non-electrified zones, without having to change locomotives, from diesel to electric and back, at New Haven. and monograms, even the more obvious differences between the 2-groups easily escaped the casual observers' eyes. Incidentally, the EDER class designation represents: Electric Diesel-Electric Road (Locomotive). Interestingly, New Haven's road number 2059 was both the last FL9 and the last of EMD's classic F-series covered wagons to be built. 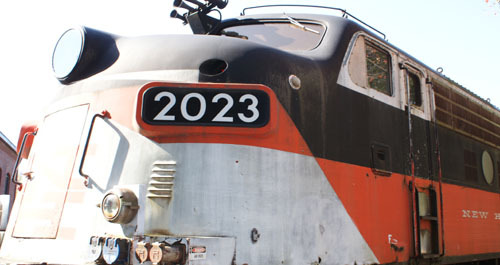 Later renumbered 2033 for Metro North, the historic locomotive awaits restoration at the Railroad Museum of New England, in Naugatuck, Connecticut. For more information about our FL9 models click here.